hechizada 1965 Novel (In Turkish). The Al Hine 1965 novel based on the hechizada tv series. 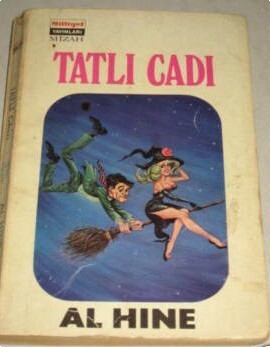 This is a Turkish edition - very rare I'd assume.. Wallpaper and background images in the hechizada club tagged: bewitched al hine bewitched novel bewitched turkish edition fanart. This hechizada fan art might contain animado, cómic, manga, historieta, anime, and dibujos animados. Lol ... good one, Bernie.